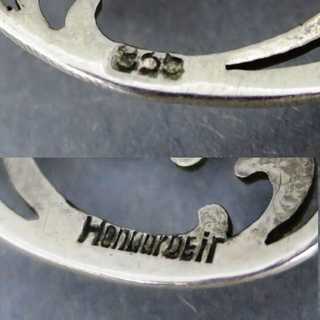 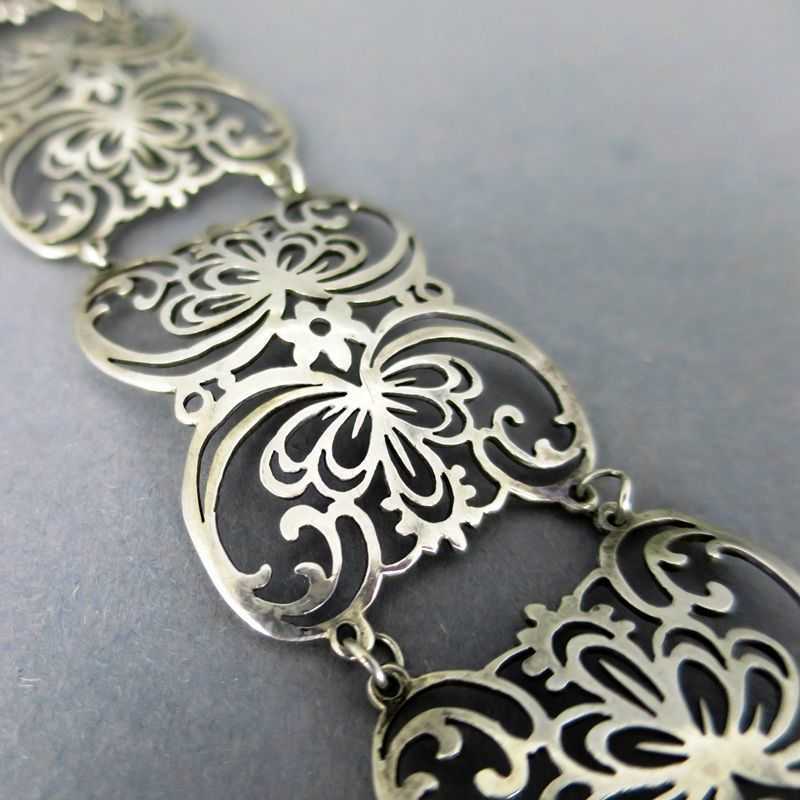 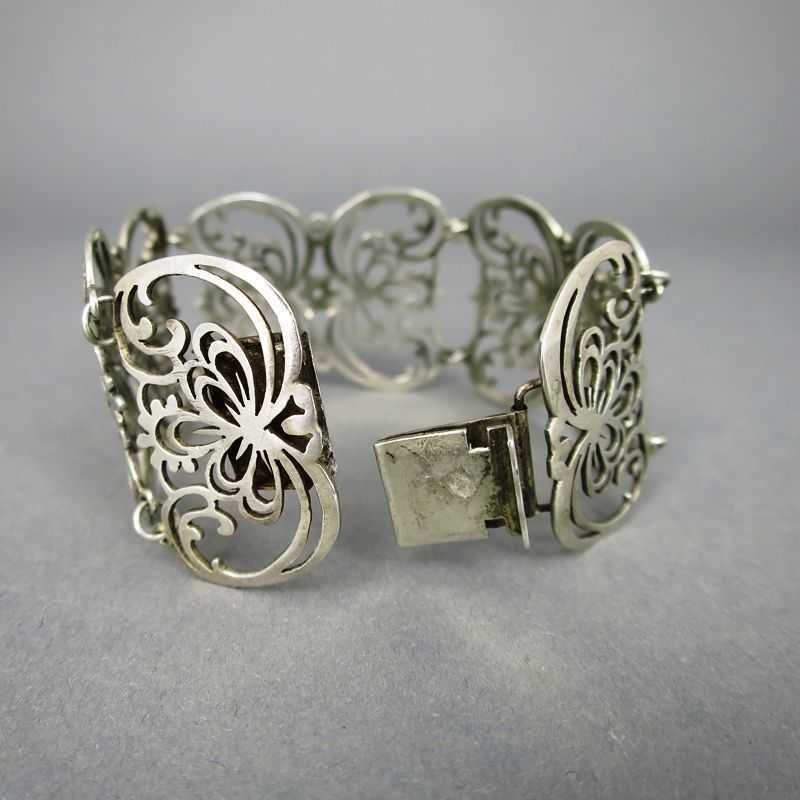 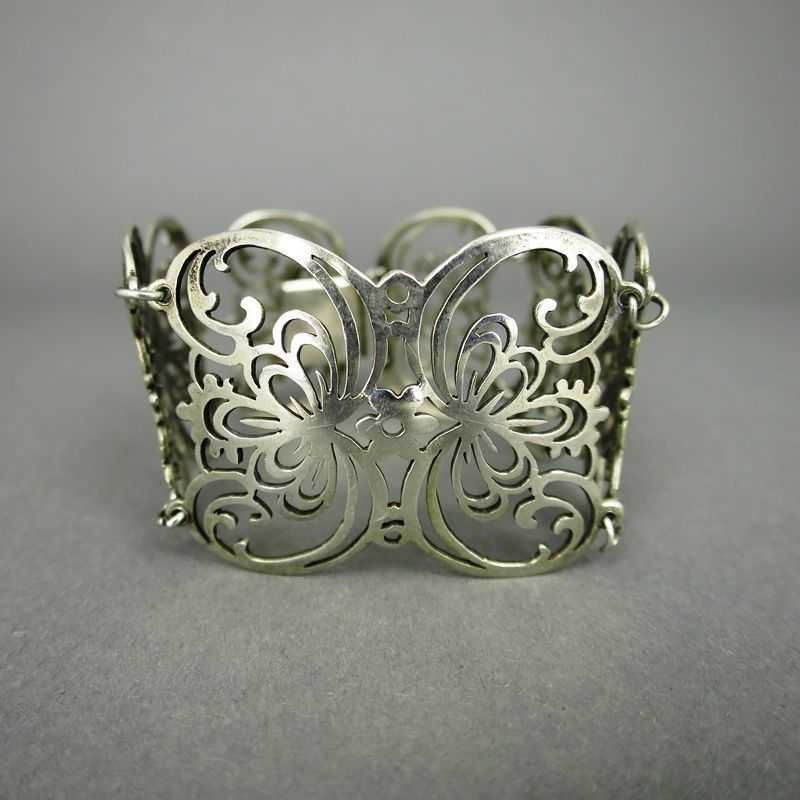 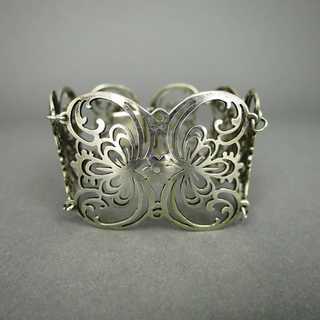 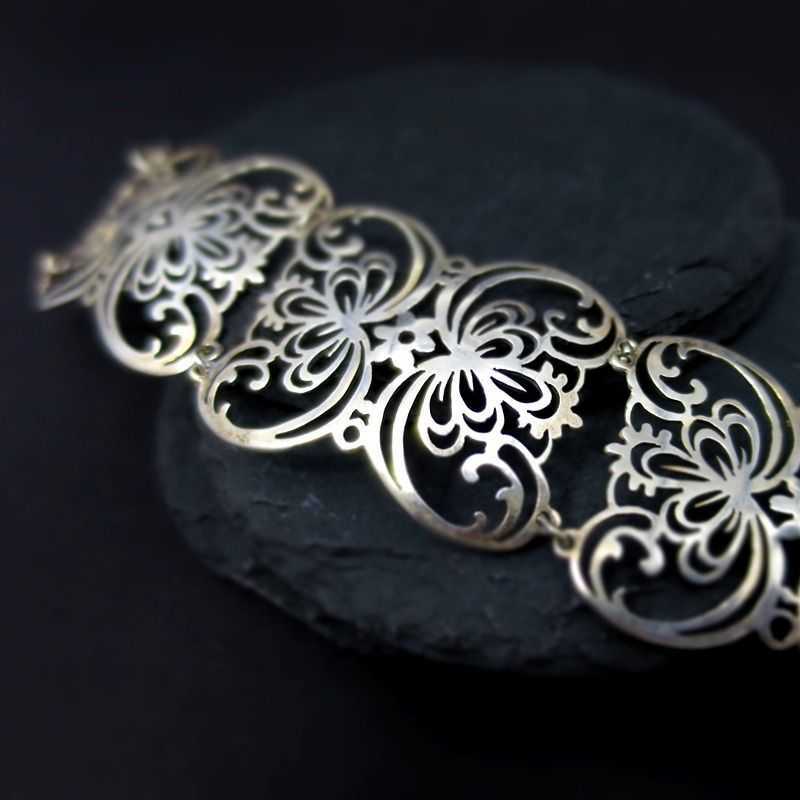 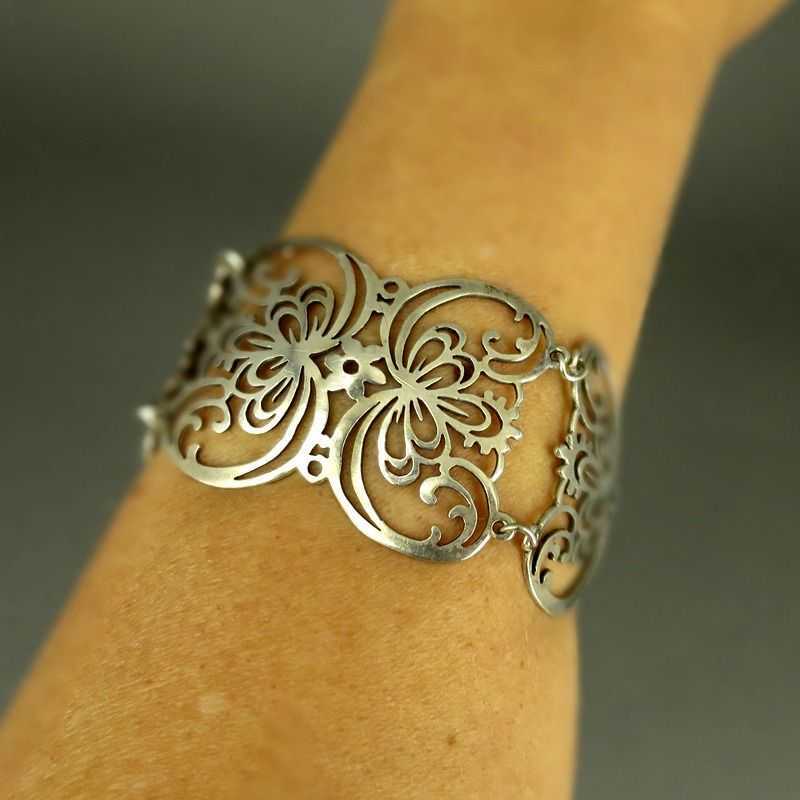 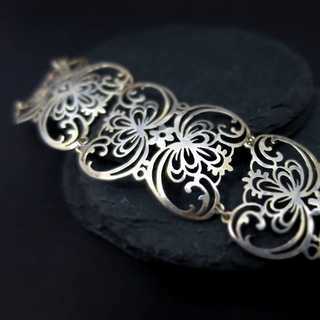 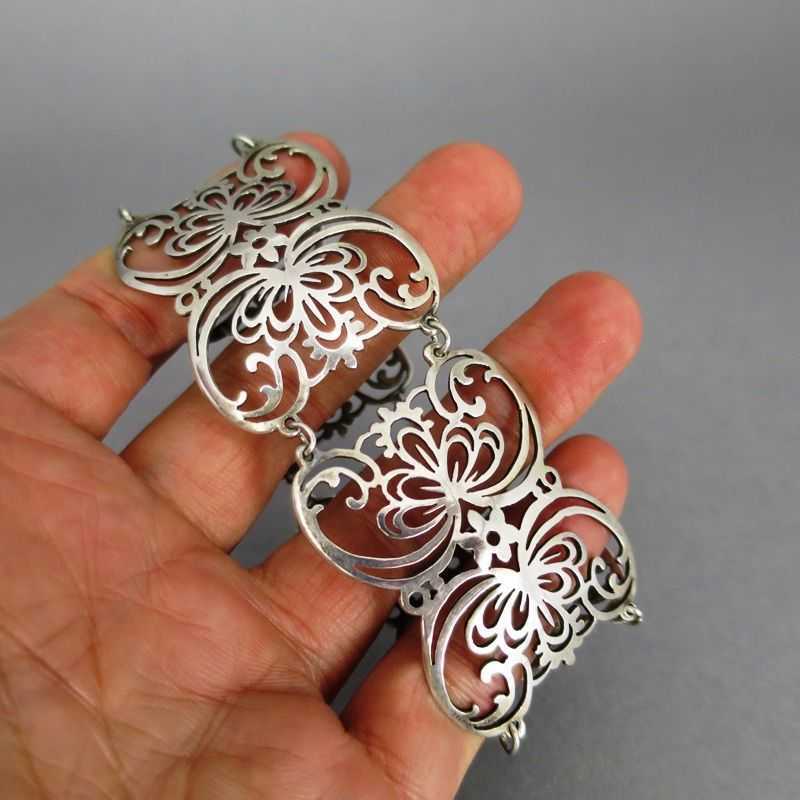 Unusual lady's bracelet with heavy open worked design. 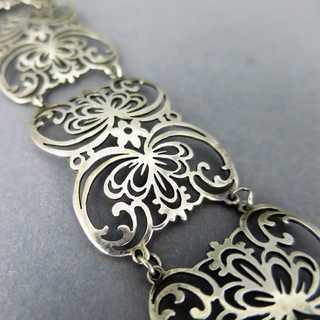 The bracelet is composed from four links, with abstract-floral cut pattern. 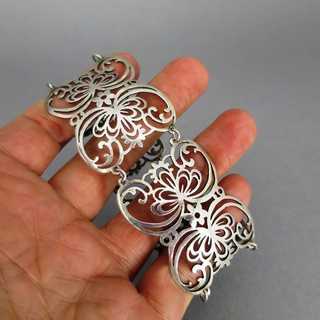 Wide stackable closure. 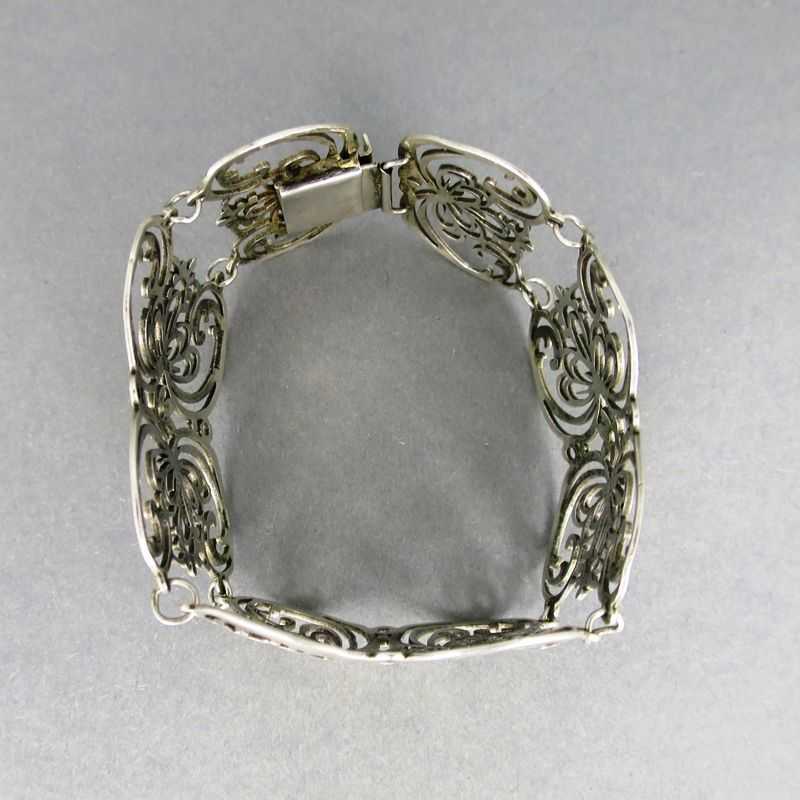 Late Art Deco period, about 1930.